All homes currently listed for sale in the zip code 85388 as of 04/23/2019 are shown below. You can change the search criteria at any time by pressing the 'Change Search' button below. "Highly upgraded 6 bedroom + OFFICE + LOFT with pool and a 4 CAR GARAGE for under $99/ sq.ft! 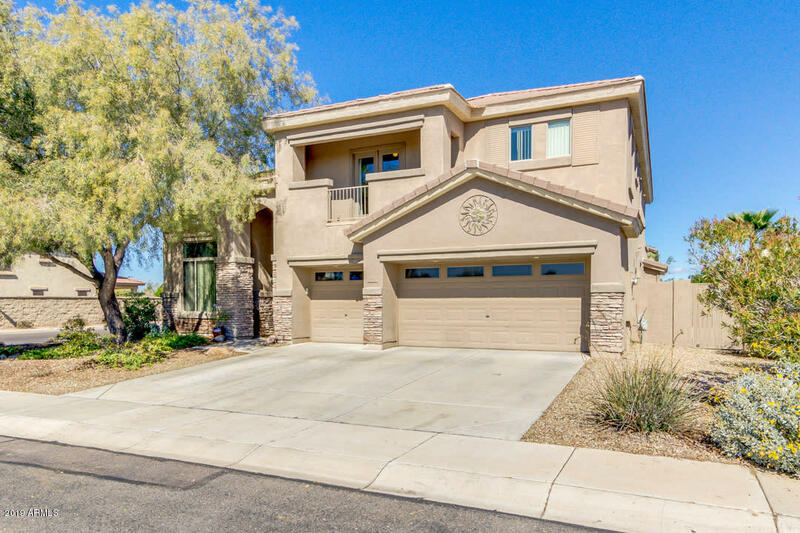 Remodeled Gourmet kitchen has upgraded raised panel cabinets, R/O, Granite counters, new backsplash, huge granite island and updated appliances. Recent improvements include all 3 air conditioning units were replaced in 2016, the pool was remodeled with pebble tech in 2016, remodeled bathrooms with granite, wood shutters, backyard pavers, synthetic grass to name a few. Must see in person to appreciate!" 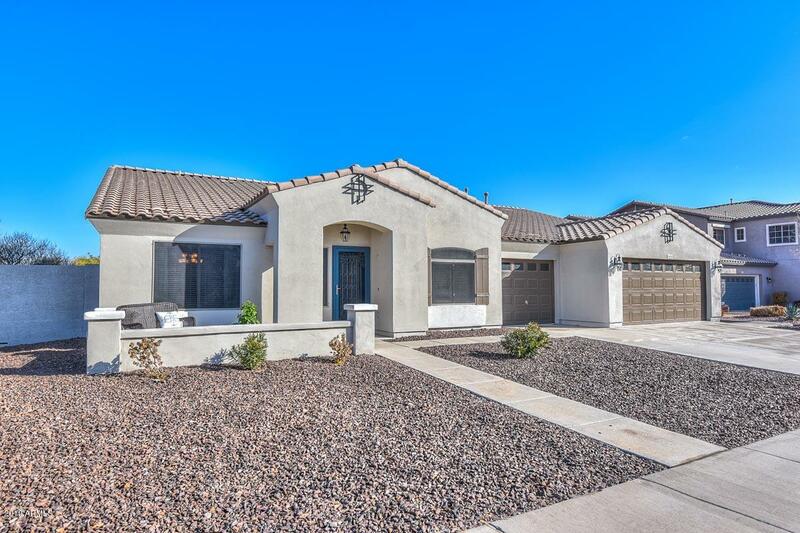 "What a stunning picasso home in a cozy, well-maintaned neighborhood in Surprise Farms Subdivision! Experience the breathtaking cathedral ceilings with a magnificent two-story view of loft with a walkout to balcony, 5 beds with office/den, 4.5 baths, gourmet island kitchen, granite counter top, stainless steel appliances, designer cabinets with under mount sink, hardwood flooring in living/formal dining rooms and master bedroom, designer patterned high end carpet in great room, bedrooms, hallway"
"Like NEW home at just over 3 years young in the desirable gated Surprise Farms neighborhood. 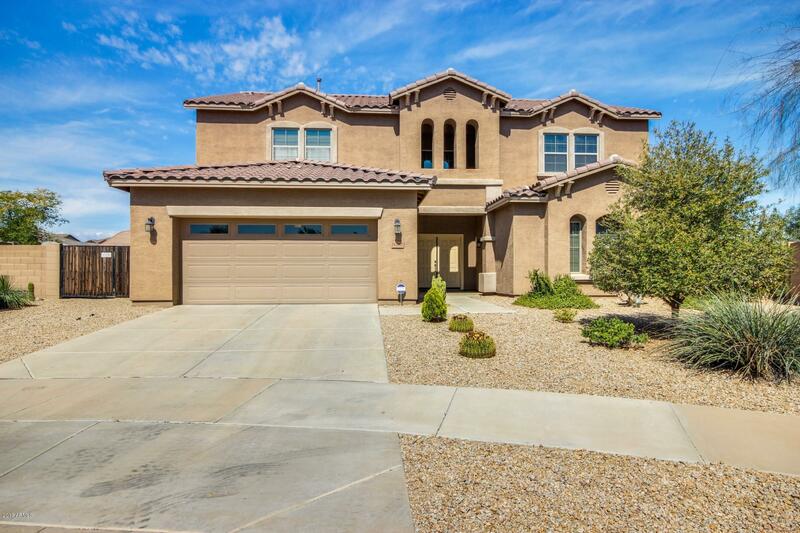 Home boasts 4 bedrooms, Large home office, 2.5 baths, Private Pool, Culligan Water Softener & R/O System. RV Gate & Pavered RV Parking area. Kitchen has large granite Island w/plenty of room for seating & entertaining & breakfast nook by the windows. Built-in Microwave along w/Wall Oven & gas Cooktop. Oversized Sliding Glass door at family room! Master bath has two sinks separate from each other. 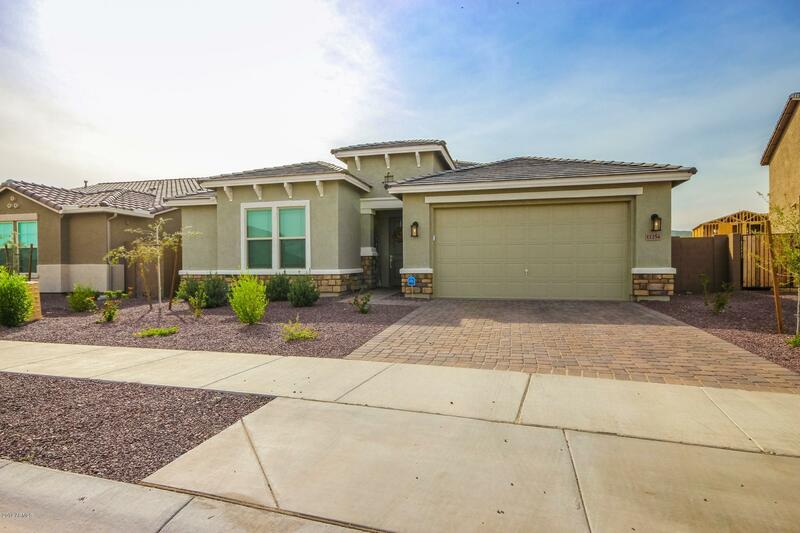 Two e"
"A RARE Opportunity to Own this Move-in Ready ''LaJolla'' 4 bed Home on Best Lot in Surprise Farms! 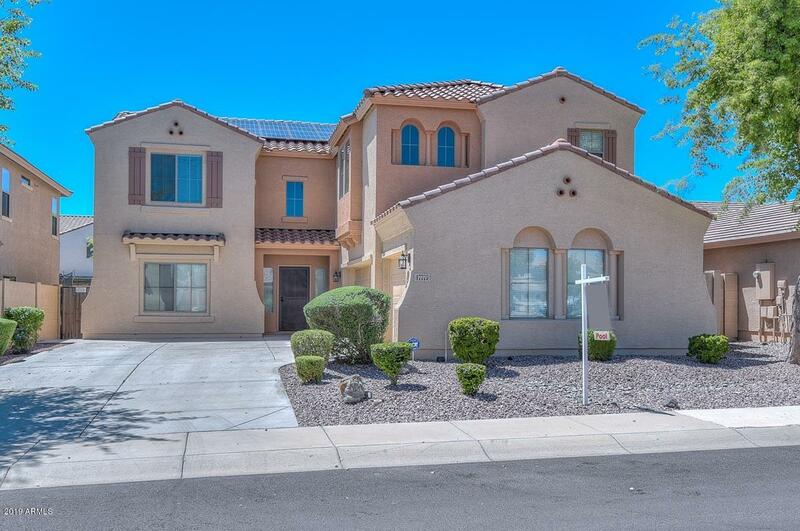 This Gorgeous 2 story home has Spectacular Private lot that borders the community greenbelt w/Only 1 Neighbor! The yard is Entertainer's Dream w/Sparkling ''Heated'' Pool & Elevated Spa w/waterfall, Spacious ''Cool Deck'' plus 3 Patios & Grand Pergola for expanded Outdoor Living Space. Beautiful Post Lighting & Lush Landscaping that is Meticulously Maintained. 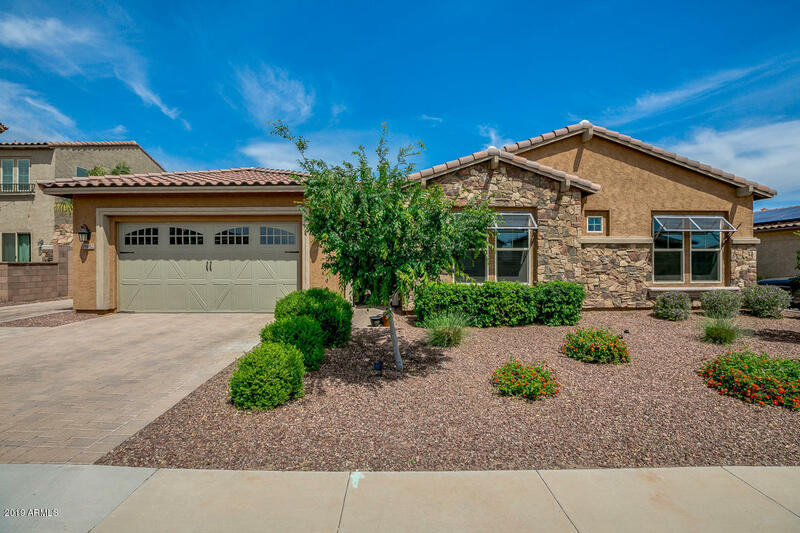 The Newly Updated Home Includes New"
"Very well kept home in the gated community in Surprise Farms. RV GARAGE with a 50 amp breaker added! 20 amp breaker added to the 3 car tandem garage. 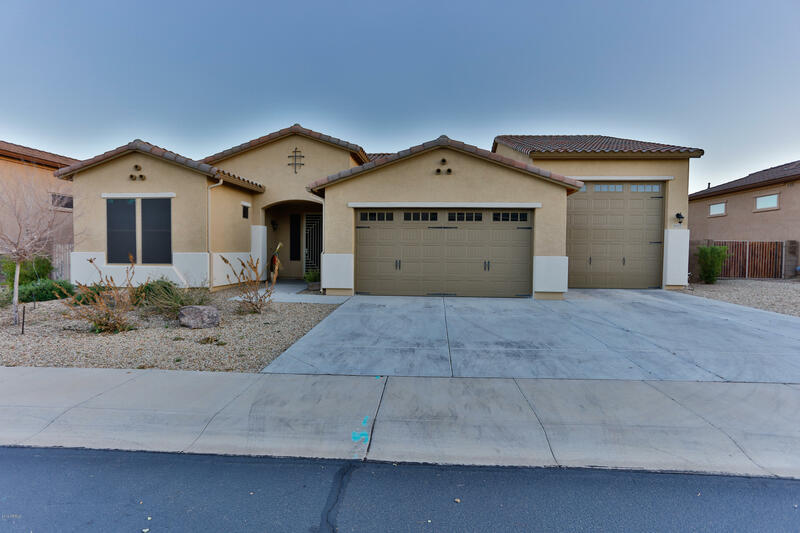 3 bedroom, 2 1/2 bath home with a kitchen that opens up to a large Great Room with lots of space and perfect for entertaining. Kitchen has double Whirlpool ovens, a 5 burner gas stove and hood that was a Gourmet Kitchen Upgrade! Pot Filler Faucet installed. Kitchen sink has RO and new filters. Granite Countertops and large island. Formal Dining roo"
"Stunning cul-de-sac lot! 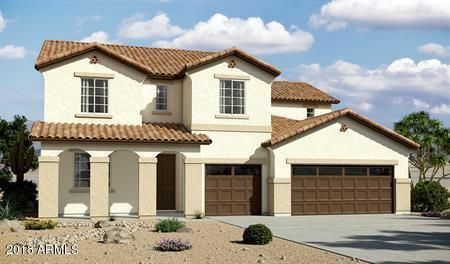 Beautiful two-story 4 bedroom, 2.5 bath, plus loft 3,433 sq. 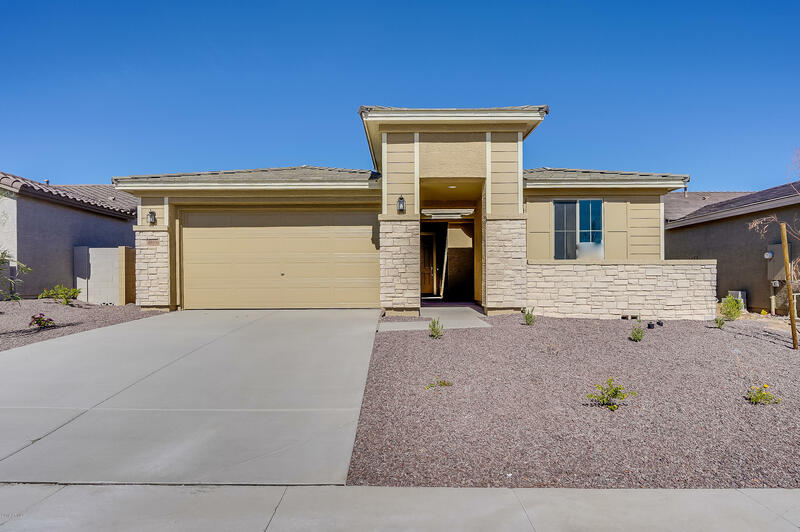 ft. Taylor Woodrow custom home, tucked away in quiet Surprise neighborhood, minutes away from the 303. Manicured, low-upkeep desert landscaping. Backyard oasis equipped with 10 x 50 ft. covered patio, garden, RV gate, sparkling pool and spa. Tandem garage. Luxurious 9+ flat ceilings. Fully upgraded tile and plush carpeting. 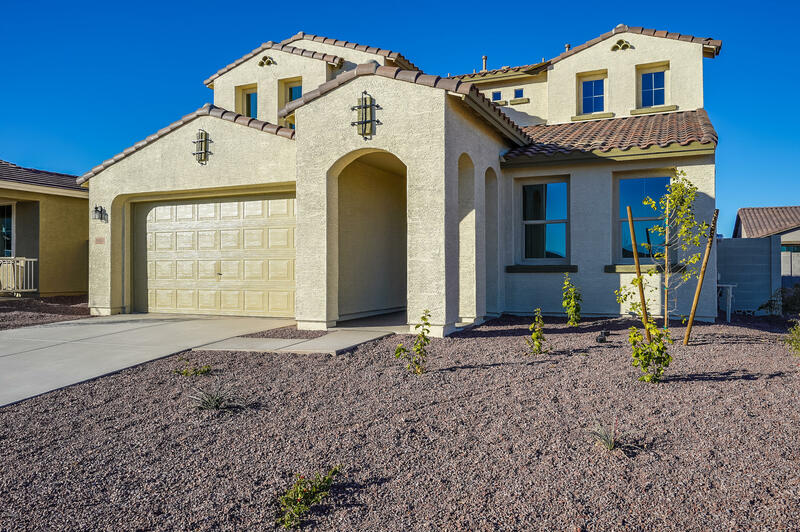 Ultramodern, eat-in kitchen boasts custom, cherry wood cabinetry, granite countertops, i"
"Welcome home to Zanjero Trails! 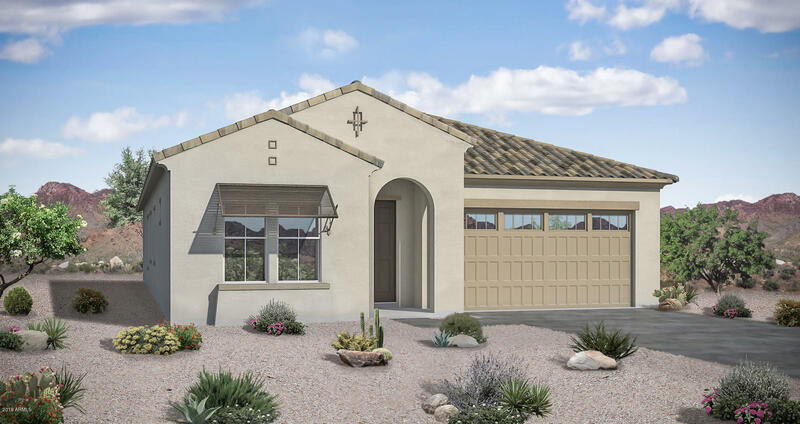 This beautiful new master-planned community in Surprise boasts eight attractive ranch and two-story floor plans with thoughtful layouts, designer details and abundant personalization options, including RV garages. 48' attached RV garage--plus a separate 2-car garage--provides an abundance of versatile storage space to suit your lifestyle. 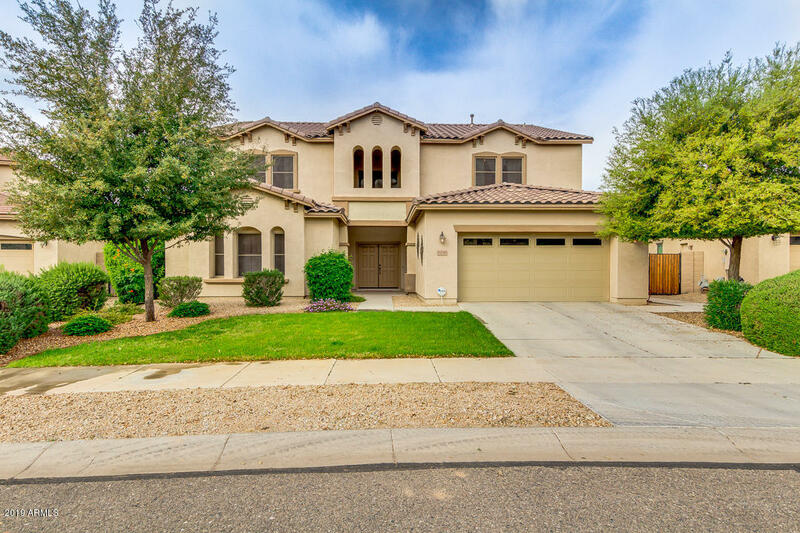 Main-floor highlights include a flex room, a covered patio and an accommodating kitchen that overlooks a dining area and great"
"Check out this gorgeous 5 bedroom, 4 bath home. One bedroom with full bath downstairs perfect for guests. Formal dining, covered patio, 12x8 sliding glass door great for entertaining. Designer upgrades throughout this home include upgraded cabinets and kitchen countertops. Don't forget all that upgraded flooring and two-tone interior paint." "Built in 2005, this Surprise two-story has the WOW FACTOR! You are greeted by high, cathedral ceilings in the formal living room. This multi-level home pulls you in with a raised formal dining room, kitchen and dinette on the main floor and a raised master suite above. Step down into a family room and den. Loads of upgrades. Enjoy swimming in the pool with a waterfall. Lots of play area. Sit in the shade of the extended back patio. This home overlooks a beautiful, play park." 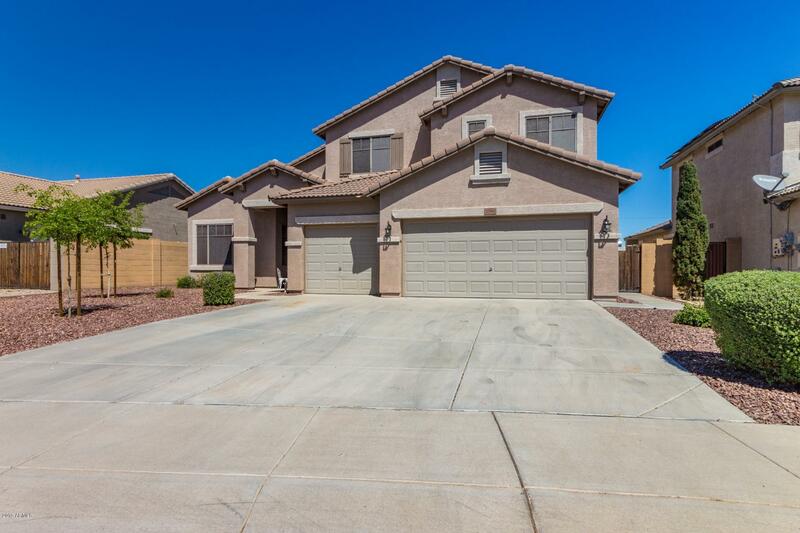 "Welcome to this Fabulous 5 Bedroom /3.5 Bathroom Taylor Morrison Home Located on a quiet cul de sac lot in Surprise Farms. Notice the Mountain Views around you. As you enter the Front Door , there is a Spacious Office which could be a bedroom as well. Huge Formal Room awaits you with Vaulted Ceilings. True Entertainers Kitchen with Granite leads into Breakfast area along with Family Room that has amazing view to the Backyard. Owners Suite is Downstairs with full Owners Bathroom. As you make"
"Why wait 6 months for a new build home has so many upgrades home would be more then list price.Premium lot with Mt Views. high end luxury water resistant vinyl plank flooring thru out ,high end Timber Lake white kitchen cabinets,ice harbor granite counter tops,gourmet kitchen with double ovens ,gas top stove,very large kitchen island,custom paint,upgraded lighting & fans thru out,speakers in living rm,master bedroom&patio ,Master walk in shower & garden tub,42 inch raised cabinets,upgraded b"
"Classy home!. 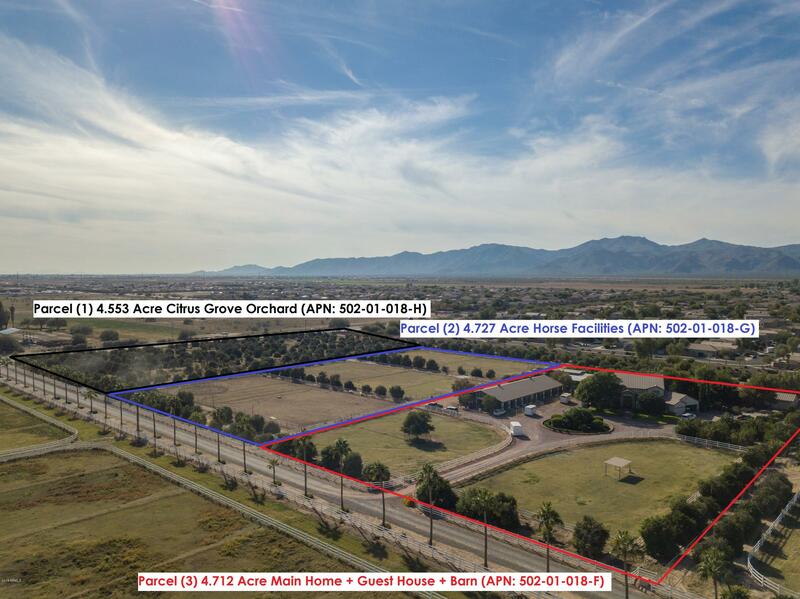 You will love the mountain views and the extra large lot. 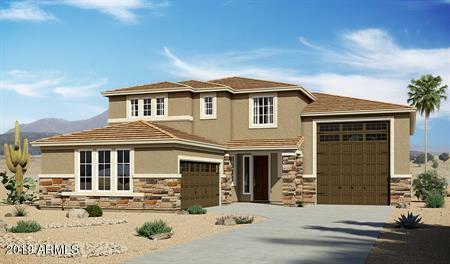 The home shows Beautiful with the wonderful neutral colors and great floor plan. You will enter through etched glass doors to the formal living room with formal dinning and an nice large den. 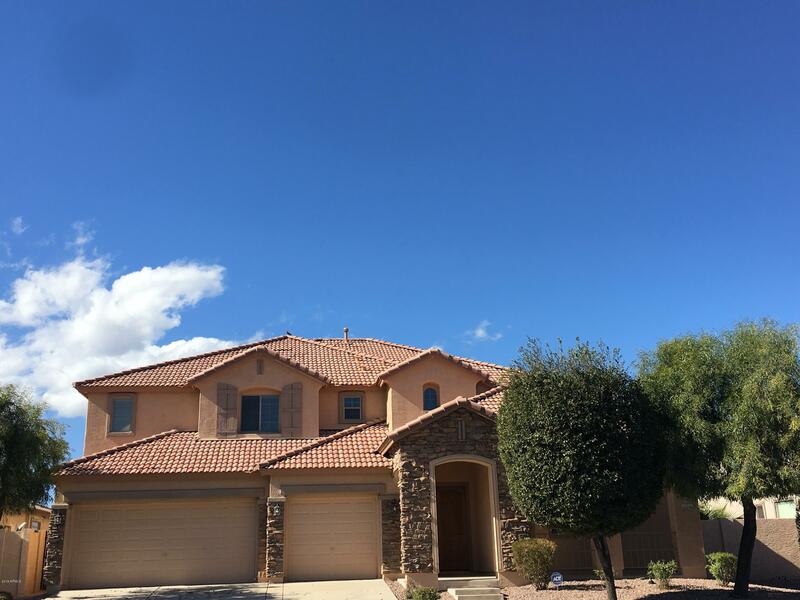 Then to your grand family room with a beautiful upgraded kitchen, that has custom cabinets, stainless appliances, large island, beautiful granite and a pantry. 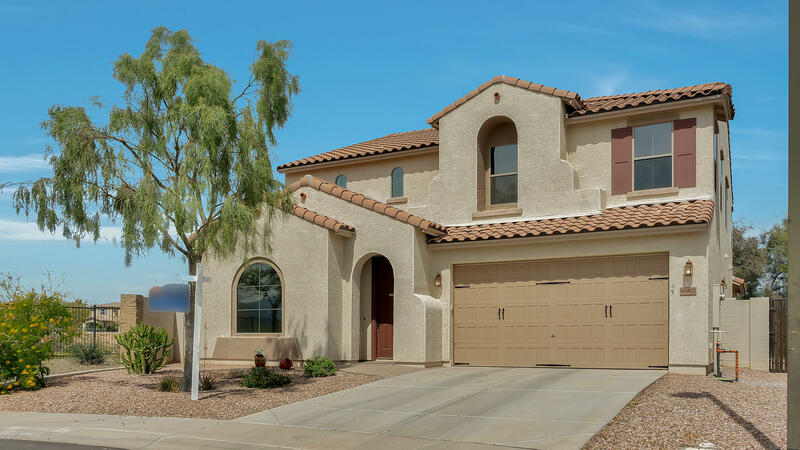 From here you have a view of the wonderful large landscaped grass backyard"
"Our popular Hassayampa plan features four bedrooms with walk-in closets, three bathrooms, and a den with double doors. A very spacious great room, dining area, and kitchen with conversation island give you that open concept feel. Beautiful gourmet kitchen with upgraded granite and soft close doors and drawers, spice pullout cabinet, recycle center, and tip out trays. Upgraded quartz counters in all bathrooms, upgraded doors and hardware, and wood planked tile floors. The Master Suite has a bay "
"This is a to be built home!! Customize to your desire!!! A little about this floorplan...The Dillon plan features a dramatic two-story entry and a spacious great room with an optional fireplace. You'll also appreciate the formal dining room with butler's pantry that leads to the spacious kitchen with central island and breakfast nook. Other highlights include a private study and a luxurious master suite with walk-in closet. 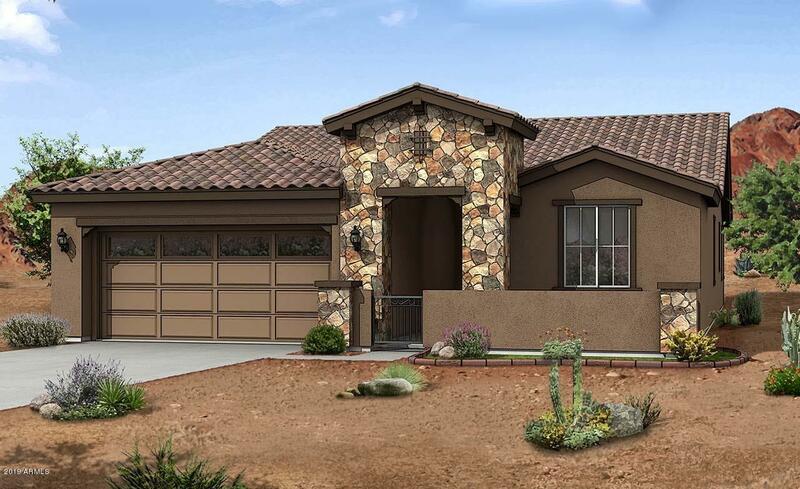 Personalize this plan with a covered patio, morning room and more." "Elegant, spacious and energy efficient! OWNED SOLAR and Honeywell Lyric T-stats are part of this upgraded home! Large bedrooms and huge loft upstairs, extra bedroom/den down (w/closet). (Half-bath downstairs could accommodate a shower.) Beautiful granite counters accent lots of cabinets! SS Fridge included. Brkfast area/kitchen are open to the FR. Custom neutral tile through kitchen/dining/LR. Relax in the beautiful pool (fenced!) w/beach entry or enjoy our gorgeous days under the gazebo. 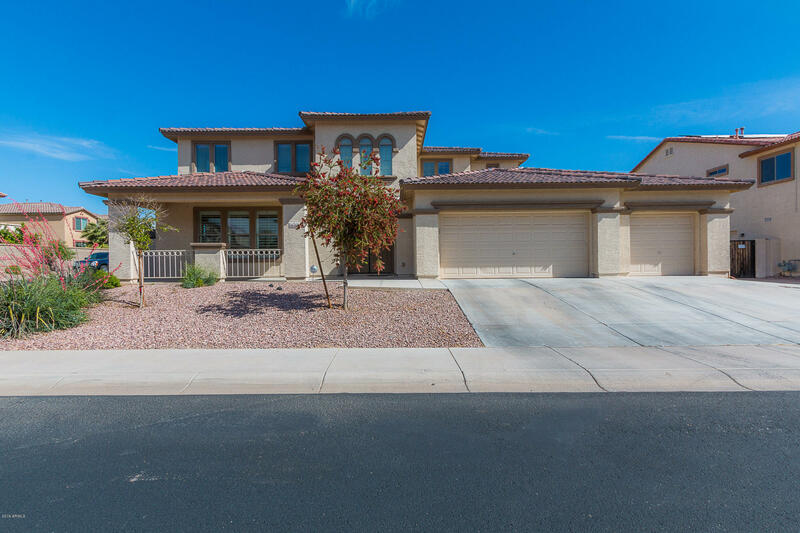 Enjoy "
"Stunning - 4 bedroom, 3 bath home with formal dining. 3 car tandem garage. Designer upgrades include upgraded kitchen countertops and upgraded cabinets. 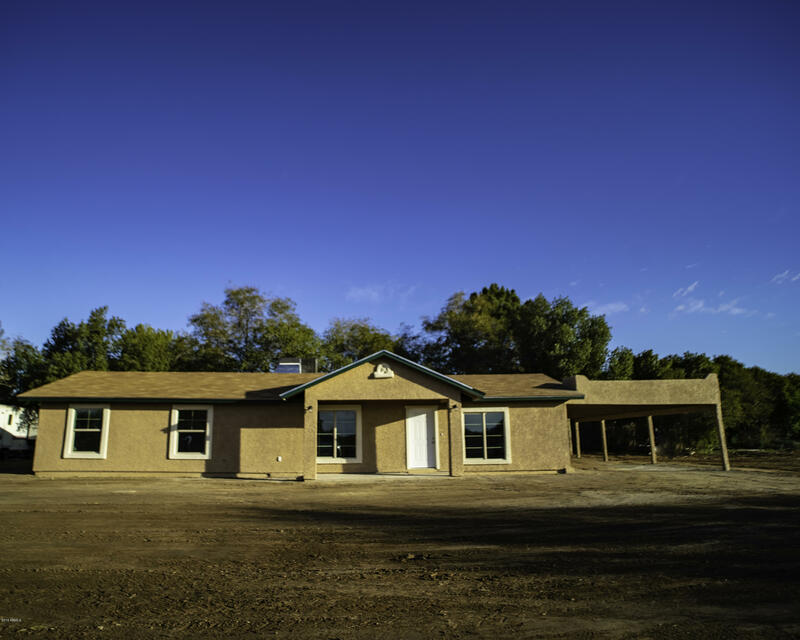 Home comes with gas appliances including a gas stub-out to dryer and BBQ." "HIGHLY UPGRADED DRHORTON MANHATTAN FLOOR PLAN. 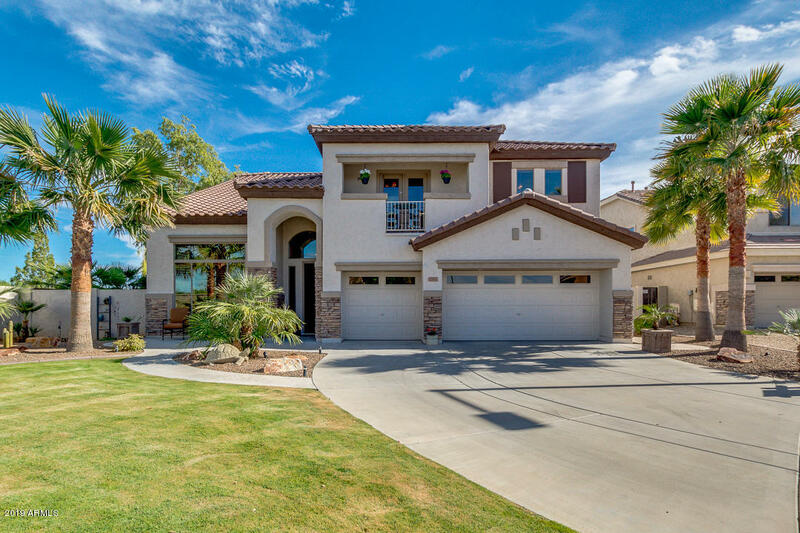 HOME BOASTS A LARGE FAMILY ROOM W/BAR, FORMAL LIVING ANDDINING ROOMS, BREAKFAST NOOK W/BAY WINDOW AND 4-CAR GARAGE. NEW SS APPLIANCES IN KITCHEN W/CHERRY WOOD CABINETS, GRANITE COUNTERS & TRAVERTINE BACKSPLASH. 22K IN UPGRADED HARDWOOD FLOORING. 18' NEUTRAL TRAVERTINE TILES IN ALL THE RIGHT PLACES.TUB SHOWER COMBO & DUAL SINKS IN THE MASTER BATH INCLUDING A WALK-IN CLOSET. 5.5 TON HVAC UNIT WAS REPLACED 2.5 YEARS AGO. 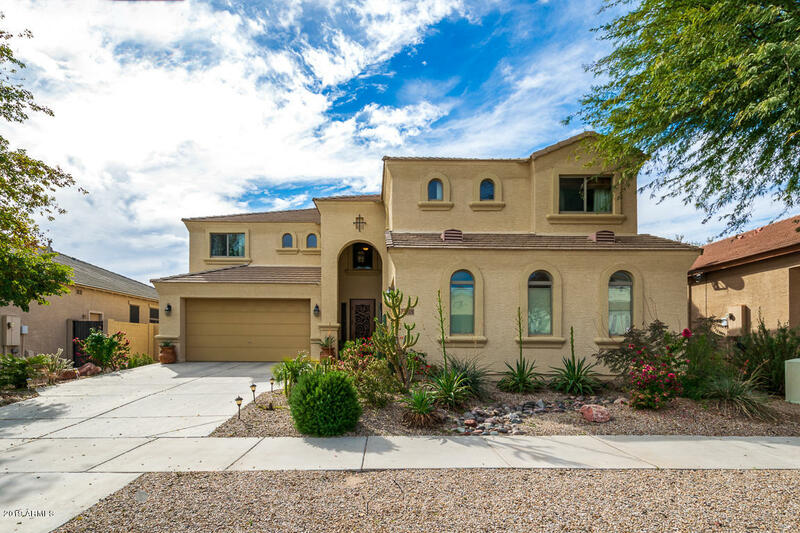 OTHER UPGRADES INCLUDE ENERGY"
"Stunning 2 story home that is situated in the amazing city of Surprise! Upon entering this home, you are greeted with gorgeous hardwood flooring, vaulted ceilings, soft paint palettes and tons of natural light throughout! The island kitchen boasts a breakfast bar, granite countertops, dual sinks, SS appliances, light wood cabinetry, pantry and plant shelving. Upstairs you will find the loft area that is ready for your personal touch! 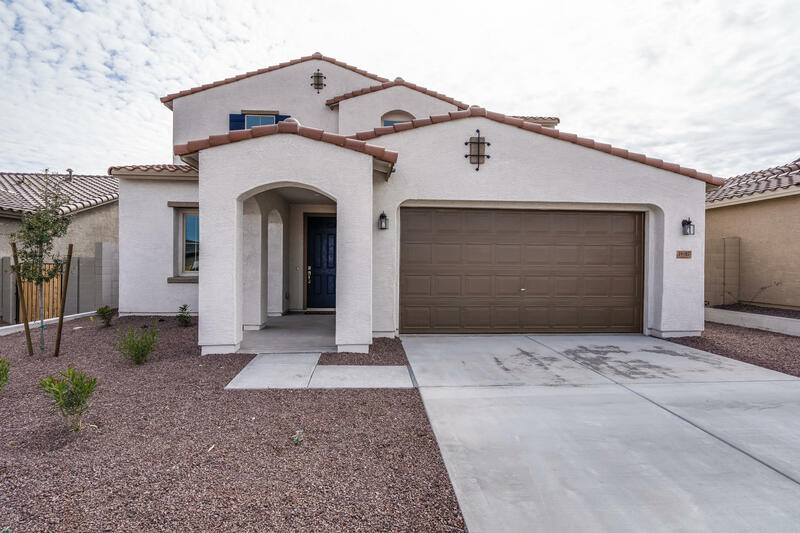 The spacious bedrooms offer plenty of room for sleep, study an"
"POPULAR BELICE MODEL - Check out this beautiful single level home with 3 bedrooms + flex room, 2 baths and a 3 car tandem garage. Multi sliding glass door leading to covered patio. Snail shower in owner's suite. Designer upgrades throughout the home including enchaned kitchen island with quartz countertops and maple cabinets. Home inlcudes gas drops to future BBQ and dryer." "Stylish and functional single level home with 4 bedrooms, 2.5 baths with a Flex room to use as you chose. Open concept great room, dining room and kitchen. Tandem three car garage for all your storage needs. Large covered patio for your outdoor entertaining! Make your appointment today!"